Victims of crime should be allowed to ask for a review of cases that don't result in criminal charges, including sexual assault complaints, said a federal ombudsman Tuesday. Victims of crime should be allowed to ask for a review of cases that don't result in criminal charges, including sexual assault complaints, according to one of several recommendations from a federal ombudsman Tuesday. 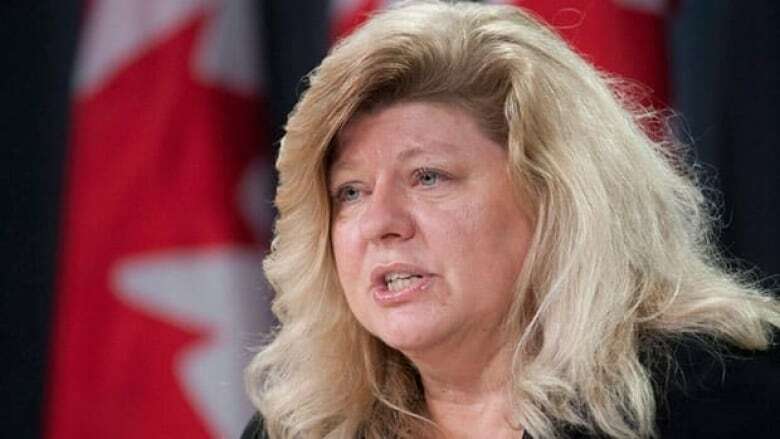 Sue O'Sullivan, federal Ombudsman for Victims of Crime, released five reports after a months-long review of how to make the Canada's criminal justice system fairer. The review, conducted over the summer months, was in response to Justice Minister Jody Wilson-Raybould's mandate to review the criminal justice system and to enact policy changes. One of the recommendations in her reports calls for victims to have the right to ask for a review when a case doesn't proceed to a criminal charge. She suggested a second Crown prosecutor would be able to review the file for a second opinion, and if that fails, there would be an option for a judicial review. "I think this is directly related to Canadians' confidence in the criminal justice system," O'Sullivan told Giacomo Panico, host of CBC Radio's All in a Day, on Tuesday. She cited the low charge rate and conviction rate for sexual assault complaints as a sign for the need for such legislative changes. Pointing to a pilot project in the U.K., O'Sullivan said when victims are better informed about the process and of their rights it led to an increase in both the number of witnesses that could testify and early convictions. "What I'm saying is let's start shifting the thinking on this," she said. "The system needs to be more flexible and adaptable in terms of particularly with people that participate, for example vulnerable victims such as children, older persons, persons with disabilities." One of the reports also suggest putting victims at the centre of the debate over proposed plea bargains by allowing the court to hear from them before a guilty plea is made "in order to have the opportunity to have their views heard and considered." The report notes variations of this kind of law exist in Colorado and California. The ombudsman also advocated for having victims make submissions to the court when a decision might affect their safety, such as in a bail hearing. "The Canadian Bill of Rights says you have a right to have your safety and security considered and conveyed to the court, yet we give them no legal mechanism," O'Sullivan said. The ombudsman's office consulted with victim advocacy organizations and other experts in group sessions across the country​, including one in Ottawa. Some of the recommendations in the five reports are viewed as a possible solution to quicken the court process and cut down on court delays. In July 2016, the Supreme Court of Canada condemned what it called "culture of delay and complacency" in the country's courtrooms and set strict, new limits for cases to be completed. The limit in Superior Court is 30 months and 18 months in provincial courts. "Court delays are typically cast in terms of the rights of the accused but not the rights of victims. Yet victims also have an important interest in a criminal justice system that is not delayed," said one of the reports. "Having charges stayed as a result of delays hurts victims. Remedies that emphasize both the rights of the accused and the rights of the victim must be found." Other proposed changes include enacting restitution provisions to have victims compensated by offenders after sentencing and to make it easier to allow victims to lift publication bans in cases such as sexual assault. "If a victim wants to speak publicly then we need to make the process easier for them to make that application to be able to do that," O'Sullivan said. The federal justice minister told the Canadian Press in a statement Monday that she has included victims groups in her consultations on criminal justice system reform, including a roundtable devoted to these issues.